It is imperative your smartphone charges whenever you plug it in but it seems like there are some LG G5 (#LGG5) owners who are currently dealing with a serious issue as their devices won’t charge. In this post, I will walk you through in troubleshooting your G5 that’s not charging. The procedure I cited here is based on troubleshooting procedures we technician use to try to fix issues like this. If you were looking for solutions to a different issue, feel free to contact us as we’re always willing to help our readers. Just fill up our Android issues questionnaire and we’ll try to help the best we can but please provide us the details of the problem so we can help you better. When you plug your G5 and it doesn’t charge, try to see if it’s still powered on. If it is, try to see if it’s lagging, freezing or unresponsive because that might just be the reason why it’s not charging. However, if the battery got completely drained, leave the phone plugged in for 10 minutes and try to turn it on. If it doesn’t respond, pull the battery out and press and hold the Power key for 30 seconds to refresh its memory. If this problem happened to you for the first time and there is no apparent reason or cause, there’s a chance it’s a charger issue. The thing is, we really can’t open the charger up to inspect its components. So, just try to inspect the port to see if there’s any debris or lint that may have corroded the receptors. You may use a toothpick or Q tip to clean the port out in case there is a foreign object in it. It is very important as it’s the only thing that bridges the power adapter and your phone. There have been a lot of reports about USB cables that are broken. So, physically check if you can see any signs of breakage. Also, check both ends for lint or debris and clean them up if something is corroding the pins. Additionally, you also have to check to see if there are pins that are bent or misaligned. You can straighten them using objects with pointed ends. The things you have to look for are lint, debris or bent pins. For corrosion, you can use q tips for cleaning or a blast of compressed air will take care of the problem. Bent pins can be straightened by a toothpick or any pointed material for that matter. Just make sure each pin is in their proper places. If it looks good, plug the cable in to attempt to charge the device. If it doesn’t respond, try to hold the phone at a certain angle. If the port is loose, the cable must be held at an angle that gives it proper contact with the receptors. I understand the hassle of going to a shop to explain the problem and wait for an hour or two while the technician is testing the phone and tries to examine if the problem can be fixed. The first four steps are all you need to do. If the issue remained, then it could be a battery or hardware issue. Slow charging – if your phone is charging slower that it usually does and if it’s the first time that occurred, try to boot your device in safe mode and charge from there. Slow charging may be caused by apps running in the background. If the phone still charges slowly in safe mode, reset your phone. Charger disconnects and reconnects – it’s most likely a loose connection issue. Check the USB port of your device and then the port on the charger. Try holding the phone at a certain angle while the charger is plugged in to find out if it charges, somehow. Won’t charge after an update plus errors – as to this issue, it might be an issue with the firmware since it started after an update. It’s difficult to pinpoint the problem, really so it’s better that you perform the master reset and see if that makes a difference. When the LG logo displays, quickly let go of the Power key but hold it again while you continue holding the Volume Down key. When ‘Factory data reset’ appears, use the Volume Down button to highlight Yes. When prompted with ‘Erase all user data and restore default settings,’ use the Volume Down key to highlight Yes. Press the Power button to confirm your action. If the reset can’t fix the problem, you should let a technician check it for you so he can do further troubleshooting. The reset worked!!! Thank you!! I bought new phone. It came discharged. When I try to charge it display showing 0%, then circle for 2 second and reboot… All the time. control dot on the battery is purple istead of white. is it water damage? can I fix it at home somehow? This, ahem, “guide” is pretty much worthless. Check the cord and the adapter. Check. Everyone has probably done that. That’s your “expertise” as a technician? Pathetic! Using the factory charging cable, the LG G5 phone will charge (albeit slowly) if I use the cigarette lighter port with a USB converter. But it will not charge (in fact, will discharge) if I plug it directly into the car stand-alone USB port. It would be better if I could get the phone to charge via the USB stand-alone port since the GPS takes up the cigarette port. 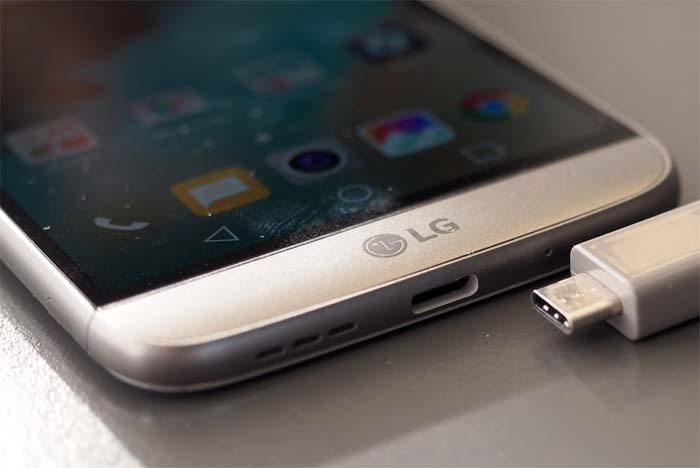 Is there a way to get the LG G5 to charge via the stand-alone USB port?